JHP Has worked with youth in a number of capacities, including school-day electives, weekend intensives, and after school programs. Funded by The Pinkerton Foundation, JHP has proudly partnered with several International Schools over the past three years, including the IHS at Union Square in Manhattan, the IHS at LaGuardia Community College, the IHS at Prospect Heights, the IHS Lafayette in Coney Island, the IHS at Flushing in Queens, and the IHS at Prospect Heights Brooklyn. The International High Schools across NYC offer a rigorous college preparatory program for English-language learners in a multicultural educational environment. The schools prioritize students of limited English proficiency who have been in the U.S. fewer than four years at the time of application. Once admitted, the students remain with the school for their entire high school career. They receive a substantive high school/college curriculum taught with a content-based English-as-a-second-language approach. 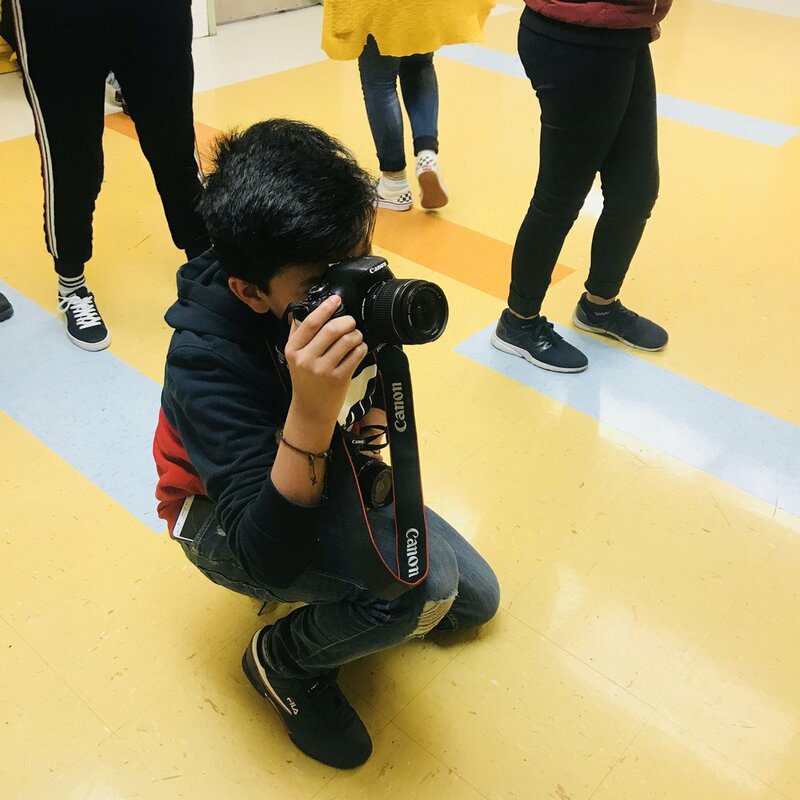 In these programs, students learn how to use photography to tell their stories, practice their English skills, and build friendships and community in their new school environment. JHP programs are weekly over 8 to 16 weeks, are project based, including cross curricula, and result in exhibitions locally, particularly in public libraries and corporate atrium spaces. Printed books are also published for each. Funded by the New York State Council on the Arts (NYSCA), JHP and New York University McSilver Institute for Poverty Policy and Research in our 6th year of partnership, working closely in together build a holistic, meaningful programming that helps disadvantage youth focus building confidence and self esteem as well as creativity through photography. Step-Up is a youth development and mental health support program funded by the Robin Hood Foundation that aims to promote social-emotional development, key life skills, academic achievement, high school graduation, and a positive transition to young adulthood. Step-Up is embedded within NYC DOE schools located in East Harlem and the Bronx. Step-Up was designed for youth experiencing significant environmental, academic, social and emotional challenges. This approach was developed in collaboration with African-American and Latino adolescents (14 to 17 years of age) experiencing significant academic, social and emotional issues for teens in similar circumstances. Step-Up is a multi-component, youth informed program that offers in-school life skills groups, one-on-one mentoring, mental health supports, structured opportunities for community service, and leadership development. Over the past 10 years, Step-Up has worked in partnership with youth, parents, and staff of eight high schools. The program has served over 450 students, 56% Latino and 37% African American, and achieved a graduation rate of 84%, among many other positive educational and mental health outcomes. For the last 5 years for Step-Up Photo Voice, the Josephine Herrick Project has customized a three-day workshop, during which teaching artists work intensively with students, producing a printed book of their work, and curating, exhibiting and selling their work to the public. Our current exhibition sponsor is Argo Tea, to whom we are very grateful. JHP has worked with a number of community-based organizations and charter schools that serve NYC youth, with a particular focus on youth considered at-risk, in the foster care system or formerly incarcerated. 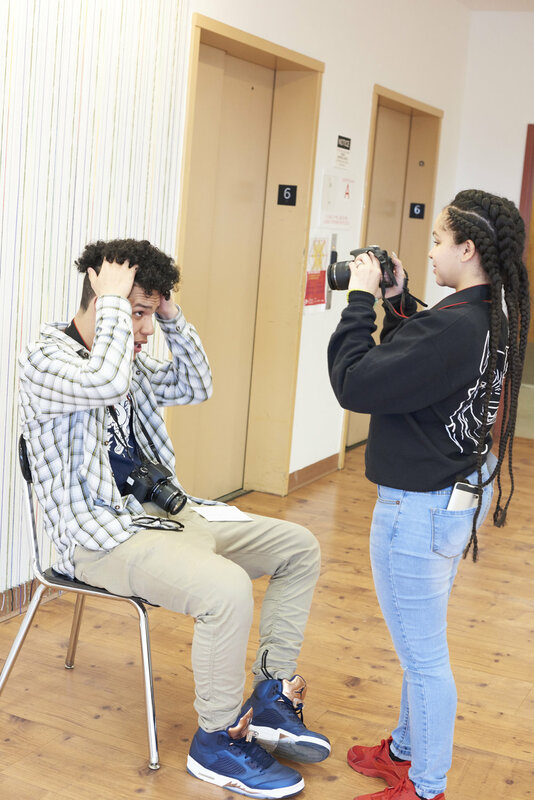 Many of the programs encourage young people to document their lives, strengthen the students’ ability to ask questions and observation skills while learning visual storytelling. In some programs, student document their communities, learning about the importance of photography in social justice movements. In other programs, instructors take a hands-on approach to encourage students to develop trust in themselves, their talents, and their peers, taking advantage of opportunity, and learning self-expression. Partnerships have included Casita Maria in the Bronx, NeON Arts, Goodwill, Boys & Girls Club, and Boys Town.